Saugerties is a Hudson Valley town bordering the Hudson River and the Catskill Mountains, one hundred miles north of New York City. With Saugerties as our home base, our purpose is to conserve significant natural landscapes in the Esopus Creek watershed and the Saugerties area. In July 2003, Esopus Creek Conservancy was established as a nonprofit corporation. We acquired a 156-acre natural environment in 2004, and added five more acres in 2006. The property shares a mile of shoreline with the upper Esopus Creek in Saugerties. 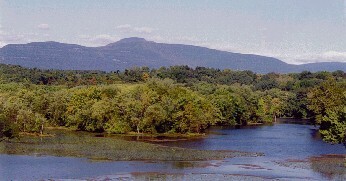 Its name – Esopus Bend Nature Preserve. UPDATE: Falling Waters Preserve is now owned by Scenic Hudson. ECC partners in stewardship of the Preserve. During the past seven years with terrific community support, we have provided public access to the preserve with new and improved hiking trails. Volunteers have worked to restore the meadow area where visitors can now observe a variety of wildflowers, birds and butterflies. Environmental education walks are scheduled throughout the year and listed on our Web site Events Calendar. Partnering with the Catskill Center for Conservation and Development and the Saugerties school district, we opened up Esopus Bend as an outdoor classroom for local schools. Working with landowners and other environmental groups, we support the protection of environmentally sensitive properties. The Esopus Creek Conservancy welcomes, indeed encourages, your involvement and support.